This equipment is used for production of purified water and mineral water in PET bottles. Bottle rising, filling and capping can be realized in one machine. This machine is featured by scientific and reasonable design, beautiful appearance, complete functions, convenient operation and maintenance and highly automatic. It combines advanced technology from Italy and Germany. Its filling speed is high and liquid control is stable. 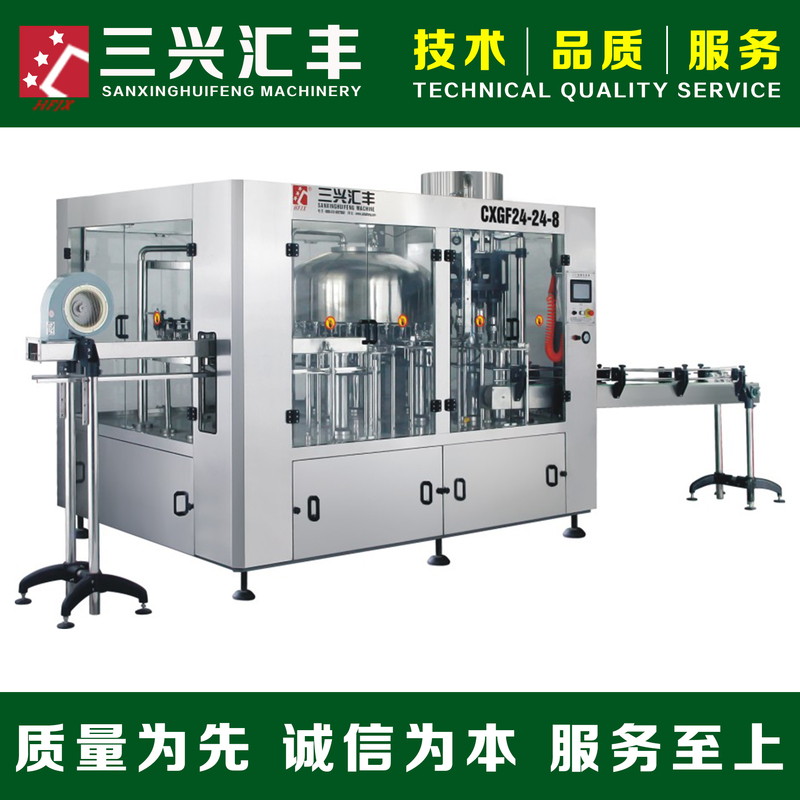 It adopts pneumatic bottle conveying, bottle mouth clamping, rinsing, filling and capping that not restricted by the height of the bottles. Different shapes of bottles can be changed freely only keep the bottle mouth and cap are the same. When changing the bottles, just change the bottle feeding plate. It is driven by the oil nylon gear with low noise and stable running. The magnetic torque type cap screwing head is adopted the cap grabbing and cap screwing. The cap screwing torque adopts step-less adjustment. It has the constant torque cap screwing and capping function, and it will not damage the cap and the sealing is tight and reliable. The horizontally rotary cap handler has such functions as no damage to the cap surface, signal sending and automatic cap filling in case of cap shortage of the hopper. The whole machine adopts the PLC control which is the man-machine interface touch screen control. It is provided with such functions as automatic control of the liquid level in the material cylinder, no bottle no filling and no bottle no cap feeding. 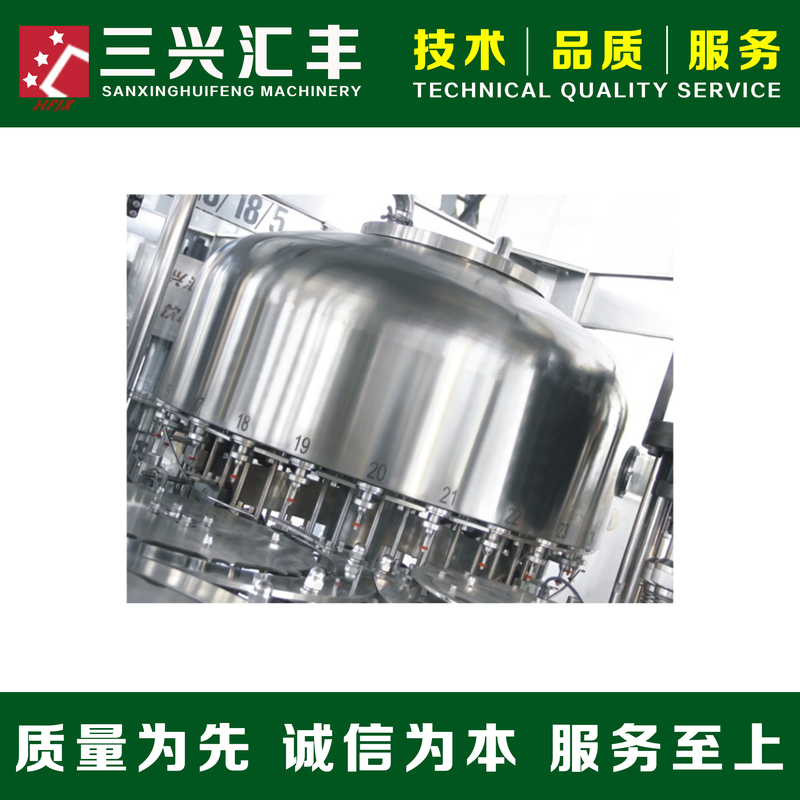 The machine will stop when the bottle blocking or dislocation by the bottle feeding star wheel and cap shortage in the cap groove.